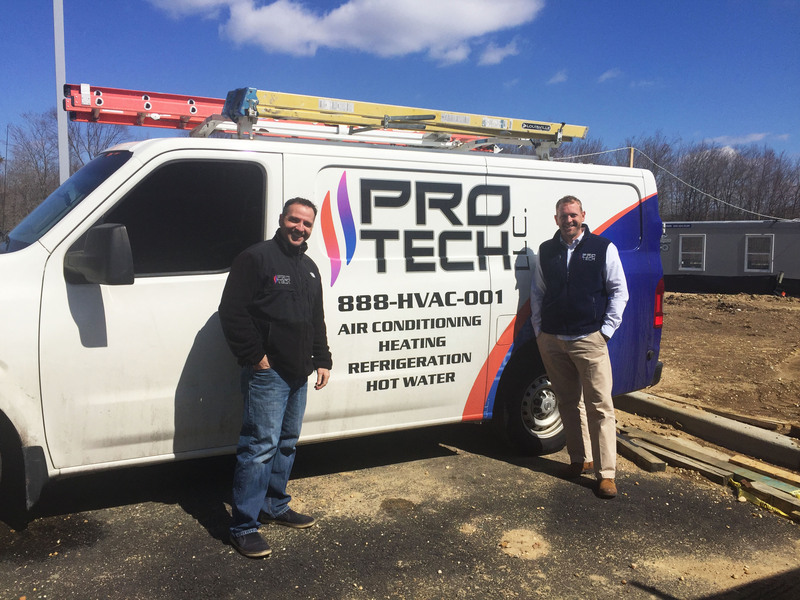 Chris Mahoney and Rocco Mirabile are the dynamic duo behind Pro-Tech HVAC Home. Combined, they carry nearly 30 years of HVAC service, design, and installation experience between them. Their journey began many years ago while on a factory tour of the American Standard/Trane plant in Tyler, TX. At the time, Chris was helping to grow a successful residential HVAC company and Rocco was at the helm of his own highly successful commercial HVAC company known as Pro-Tech. Both grew up in St. Mary’s County, MD and they quickly became fast friends…and it wasn’t long before they started drafting plans to combine forces. Rocco’s years of running a commercial business along with his unmatched technical expertise combined perfectly with Chris’s background in business, hospitality, and residential HVAC. The driving force behind the collaboration is their agreement that they can do things differently; by creating an environment where the GENUINE CARE and COMFORT of their customers is paramount. Our mission is to save you money so you can live better. By taking care of you, being fair and up-front with our pricing, offering proper design and installation services, and having integrity in everything we do, we will create the best experience for you. We are here for YOU. The care of our customers is our primary goal in everything we do. We’ve partnered with the top brands to bring you a top quality HVAC system! We educate you on our HVAC recommendations and will only install what is right for your home. If we’re not happy, you’re not happy! We love what we do so working happy comes naturally. We are a well established and trusted HVAC company with businesses and homeowners throughout Maryland. Organizations like Chick-fil-A, Hair Cuttery, WaWa, Sonic, NAS Pax River, and the College of Southern MD trust us with their HVAC needs…simply because we’ve earned their trust.